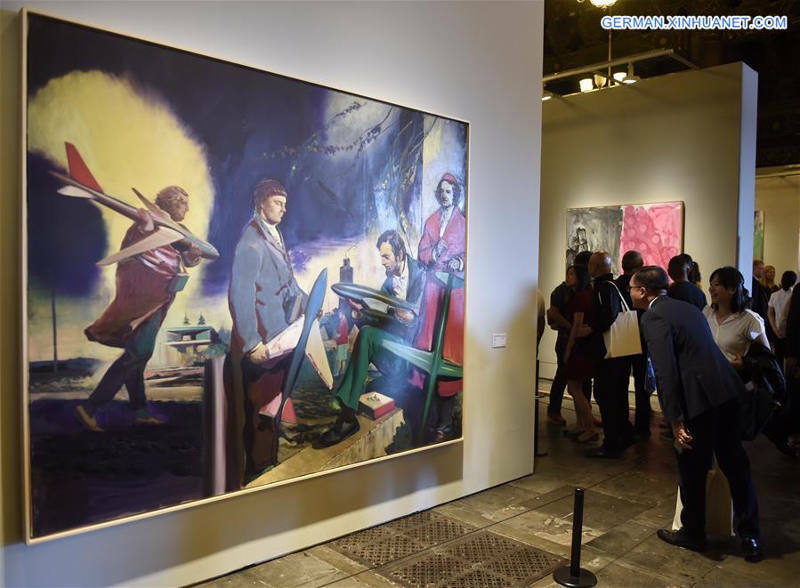 The seven-part exhibition will be held from mid-September to 31 October in many art institutes including the Royal Ancestral Temple, CAFA Art Museum, Beijing Minsheng Art Museum, Red Brick Art Museum, Today Art Museum, Yuan Art Museum, and Whitebox Art Center. About 320 works of art created by 55 German artists will be exhibited, many among them contemporary masterpieces. The Guggenheim Museum will remove three art pieces from an upcoming show featuring Chinese conceptual artists, amid accusations of animal cruelty and repeated threats of violence. The Guggenheim has been embroiled in controversy since the show was publicised, with animal rights groups calling for the the works to be pulled and a number of celebrities condemning the museum. In September, the Shanghai museum plays host to the touring exhibition of The Leiden Collection after its run at Beijing's National Museum of China. An extraordinary trove of Dutch Golden Age paintings, The Leiden Collection was assembled by US entrepreneur Thomas Kaplan and his wife, Daphne Recanati Kaplan, who have built a kind of lending library for Old Masters. In addition to eleven Rembrandts, works by Vermeer, Carel Fabritius, Frans Hals, Gerrit Dou and Rembrandt’s teacher, Pieter Lastman, are on show. Cementing a more than decade-long relationship with China, the Swiss art dealer couple Iwan and Manuela Wirth are opening a gallery in the new H Queens development in Hong Kong next spring. The hotelier-collector Zheng Hao unveiled his How Art Museum in Shanghai on 20 September, a sister venue to the private museum he opened in Wenzhou in 2013. The three-storey, 7,000 square meter space is in the Zhangjiang Hi-Tech Park, a free-trade zone dedicated to scientific research and development. It is also home to Zheng’s Onehome Art Hotel, which launched last year. You can read more Chinese art news under LEAP magazine. Georg Herold, "Blühendes Leben", 2009, roof laths, screws, canvas, twine, lacquer, 373 x 132 x 102 cm, photo: Steven White, London. You can read more Turkish art news under exhibist magazine. work as well as new pieces made specifically for Hiroshima. She explores the motif of light and shadow in the first part of the exhibition, which links to the second part displaying works from the museum collection on Hiroshima’s history and the effects of the atomic bomb. 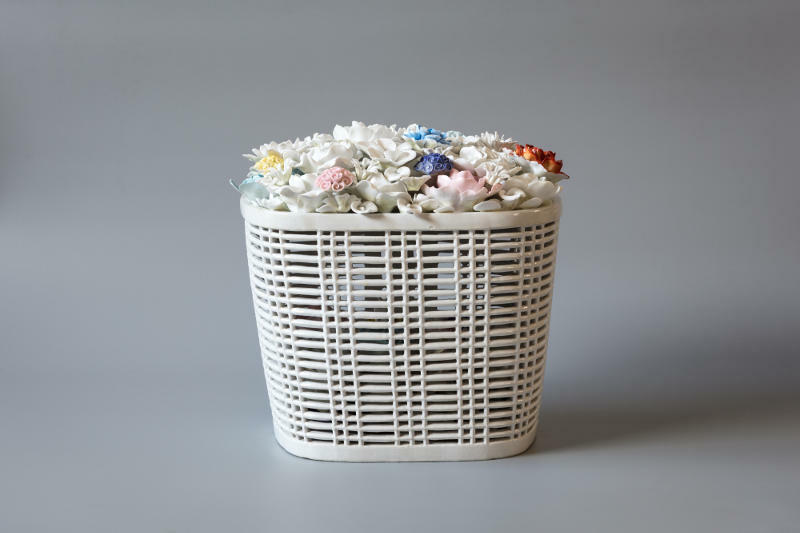 Nine female artists from the Middle East and North Africa, including Beirut-based Lamia Joreige and Mounira Solh, come together in Herford to display biographical works exploring the multifaceted notion of identity and a sense of belonging, or rather, not belonging. Many of the artists have been displaced, and through photography, drawing, installation and video, they take a critical look at their homelands and how the current political situation has affected their lives and the lives of others. Hrair Sarkissian, who has been unable to return to Damascus since he left in 2008, shows two video installati-ons, Homesick (2014) and Horizon (2016), with the same studied craft as his large-scale photographs. In the first, the artist destroys a replica of his childhood home and the second traces a refugee’s perilous journey at sea in a slowly unfolding, poetic narrative. These are meditations on the loss of solid ground, of home, coupled with ap-prehension towards what is to come. After his successful retrospectives at MoMA New York, ICA Boston, and Jumex Mexico City, Walid Raad comes to Beirut with a new solo show that includes a recent collaboration with architect Bernard Khoury on their (non-winning) submission to design the Beirut Museum of Art – A proposal for a Beirut Site Museum: Preface (2016- 2026). There are also new works from his 15-year project engaging with the Lebanese wars, The Atlas Group (1989-2004) and large-scale photographs from the Sweet Talk: Beirut (Commissions) project. The title of the show was borrowed from a 1990 print of the same name by Kuwaiti artist Thuraya Al-Baqsami, intended as a resistance poster against the start of the Iraq-Kuwait war. Drawn from UAE’s Barjeel Art Foundati-on, the collection exhibits 28 artists who have ties to the region, including Lebanese greats Fouad El Khoury and Ali Cherri. A new iteration, The Revolution is a Mirror, Excavating the Sky and Current Power in Syria by the collective Sigil will also be on view. You can read more Middle Eastern art news on CANVAS MAGAZINE. 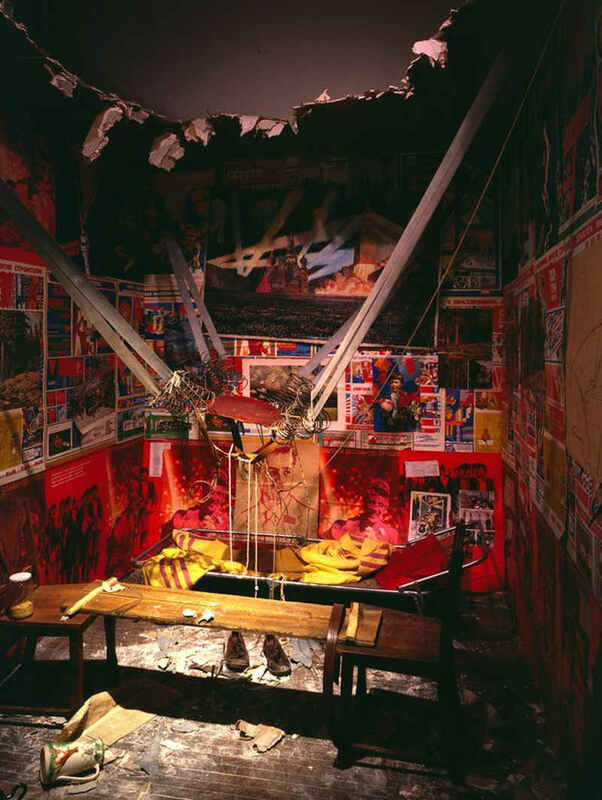 The Kabakovs are amongst the most celebrated artists of their generation, widely known for their large-scale installations and use of fictional personas. Criticising the conventions of art history and drawing upon the visual culture of the former Soviet Union – from dreary communal apartments to propaganda art and its highly optimistic depictions of Soviet life – their work addresses universal ideas of utopia and fantasy; hope and fear. The Hermitage Foundation UK launches a series of lectures by visiting curators from the Hermitage Museum, St Petersburg, hosted by MacDougall Arts Gallery. 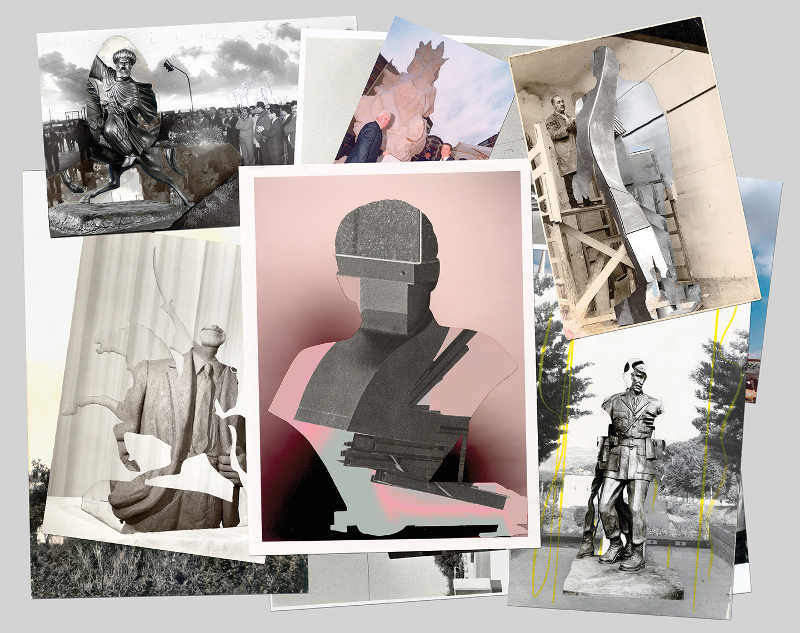 A new foundation to promote Eastern European Art will be launched this October, during Frieze week. Two Polish art collectors Irmina Nazar and Artur Trawinski are going to make an important step in promoting the Eastern European art on the European market. They have supported the arts for over a decade as collectors and philanthropists. Irmina and Artur oversee all activities of the Art East Foundation and live between Poland and France. The Moscow Biennale has revealed artist list for its 2017 edition, which will be curated by Yuko Hasegawa. Titled “Clouds ⇄ Forests,” the biennial opens on 19th September and runs through18th January 2018.